Here's what we know about the new contracts Unifor negotiated with the Detroit Three. They include US$1.2 billion (Cdn $1.6 billion) in investment commitments at some of the assembly and parts plants seen by the union and labour experts as in dire need of upgrades. They include the first wage gains for Canadian Detroit Three workers in about a decade, while also containing a key concession in a new defined-contribution retirement plan for new hires. In all, national union leadership was able to meet its top priorities by securing those investments and wage gains. As a result, labour experts say the Canadian auto industry appears to be at least in slightly better shape now than it was two months ago, even as significant disadvantages persist. How would assembly of the Chevrolet Silverado at General Motors' Oshawa, Ont., plant work? When labour talks began in earnest in September, many experts had a tough time seeing how Unifor could persuade GM to commit a new product to the Oshawa assembly plant, which was set to have no products to build by 2019. There is still much that is unknown about the move. For one, GM has yet to confirm that it will produce Silverados in Oshawa. 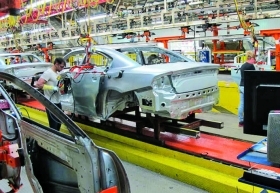 Unifor has said the Oshawa plant will be able to assemble both cars and pickups, saying in a highlights brochure that it would have "the ability to meet unmet demand in a critical market segment." Should reports of final assembly moving from Fort Wayne to Oshawa be accurate, it raises several questions: How, logistically, does moving models more than 700 kilometres and across an international border make sense? How many Silverados will Oshawa produce? How might Silverado production in Canada affect production at the two U.S. plants that build the truck? $413.9 million, mostly for its Oshawa, Ontario, assembly plant. FCA will put $242.8 million into its Brampton, Ontario, assembly plant's paint shop. Ford will invest $532.6 million, mostly to refurbish its Windsor engine operations. 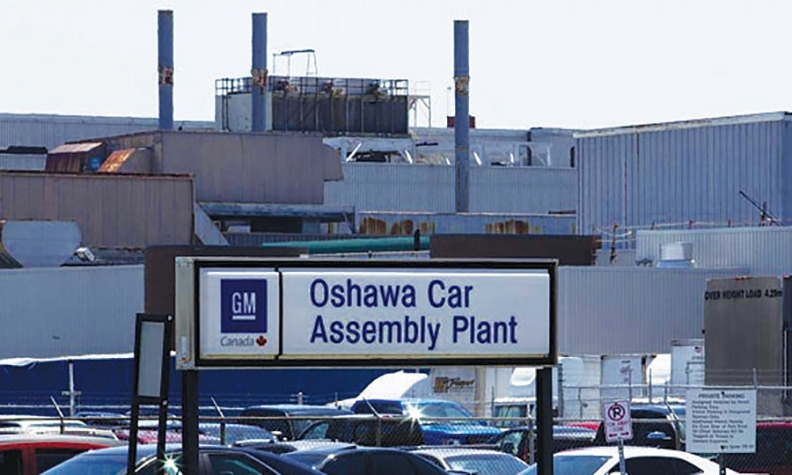 New products: The GM Oshawa plant will reportedly do final assembly on Chevrolet Silverados. FCA says it could assign new vehicle production to Brampton if certain market conditions are met. Ford will provide a next-generation engine program to the Windsor operations. Wages and bonuses: Each contract gives workers $8,964 in bonuses over 4 years. Veteran workers will receive two 2% wage increases over the course of the contracts. New hires will remain on a 10-year grow-in period to full pay, though a 3-year wage freeze was eliminated. Retirement plans: New hires are placed on a defined-contribution retirement plan, seen as less risky to employers than traditional pensions or hybrid plans. Next year: Unifor will negotiate a new contract for GM's CAMI assembly plant in Ingersoll, Ontario, which was not included in this year's negotiations. What products will Fiat Chrysler's Brampton assembly plant build long term? FCA's commitment to refurbish the Brampton, Ont., plant's aging paint shop will likely bolster its long-term health, said Kristin Dziczek, director of the Industry, labour and Economics Group at the Center for Automotive Research in Ann Arbor, Mich.
"Paint shop investments are typically longer-term investments," she said. Under the deal, FCA committed to building a "next generation product, or alternative product" at the Brampton plant, as long as the government provides "adequate financial assistance" and market demand is satisfactory, among other factors. Should those numerous caveats be met, what could the next product at Brampton be? The Dodge Challenger, Dodge Charger and Chrysler 300 will not be redesigned until the 2021 model year, when the company is likely to discontinue one of the sedans, Automotive News reported this month. The company will freshen the vehicles for the 2018 model year. Unifor and the Detroit 3 had to slog through several key issues. But one thing they agreed on from the start was the importance of government support to make Canada viable in auto manufacturing. "We can't do this alone," Unifor President Jerry Dias said this month. While most of the commitments from the Detroit 3 are not dependent on government support, leaders at both the federal and provincial levels will need to step up for Canada to receive deeper, more meaningful investments from automakers, said Tony Faria, director of the automotive research office at the University of Windsor in Ontario. "It's a number of policies that are not friendly to the business market that need to be looked at immediately," Faria said, pointing to high energy prices and trade disadvantages as among the top factors driving potential investment away from the country. The good news for the Canadian auto industry? Prime Minister Justin Trudeau and Ontario Premier Kathleen Wynne appear willing to work with the automakers and labour to find solutions. How will labour politics shake out in 2020? How will Unifor be able to put together a deal in 2020 that satisfies both new hires and the automakers in what will likely be a less favorable climate? While each agreement with the Detroit Three passed with at least 58 per cent support, many Unifor members expressed their displeasure at the continuation of the 10-year wage grow-in period for new hires. That's especially true of new hires themselves, judging by low support levels at Ford's Oakville assembly plant, where about 40 per cent of workers are newly hired. Obviously, a lot could change between now and 2020. But the 2020 negotiations between Unifor and the Detroit Three could prove to be difficult. If Unifor could not secure a reduction in the wage grid now, when the market is just off its peak and the economy is relatively strong, how could it expect to do so in four years, when economic and market forces are likely to be worse, at least to some degree? Coming to workers in 2020, when new hires will make up an even larger share of the work force, without a reduction in the grid could make it difficult to craft a deal that's enticing to membership. But then again, few expected Unifor leaders to secure as much investment as they did this time around. Perhaps they can get it done.